Drillinginfo stated on Jan. 29 it formed a new strategic collaboration with Hart Energy’s Rextag unit for the purpose of creating a combined midstream business product. 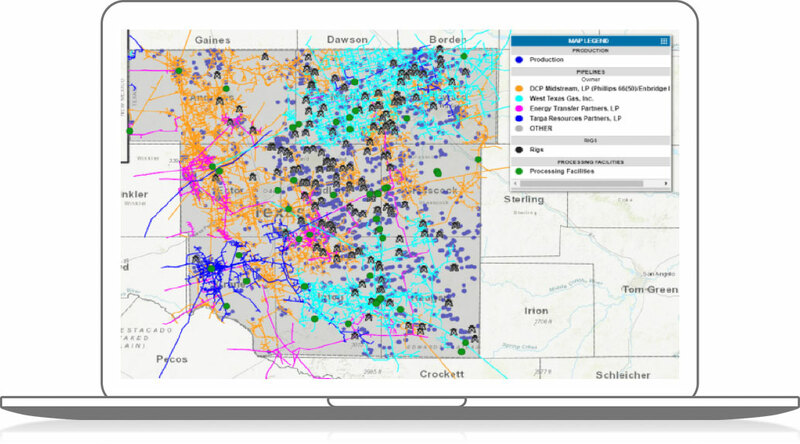 The Drillinginfo-Rextag integration provides a cutting-edge solution to analytical mapping for the midstream sector with all relevant datasets in one platform, which provides powerful context and unprecedented infrastructure siting and mapping. Which gatherers operate in the vicinity and may be able to pick up my production? Are there buyers for the production from my wildcat well? Which potential acquisition candidate merits premium pricing because they are next to existing, available takeaway infrastructure? Where might unforeseen pipeline bottlenecks occur? Knowing the true takeaway capacity, how do I gauge the impact of supply adds/misses and changes in pricing? How will increased oil pipeline capacity (or rail) affect the discount crude price? Drillinginfo delivers business-critical insights to the energy, power, and commodities markets. Its state-of-the-art SaaS platform offers sophisticated technology, powerful analytics, and industry-leading data. Founded in 1999, Drillinginfo has quickly emerged as the unquestioned leader in oil and gas exploration information services. Rextag is a part of Hart Energy, one of the energy industry's largest information providers. Rextag maintains one of the biggest energy database and serves it as GIS (Geographic Information System) data, web-based Geoweb portal and printed maps.